Find out where your fears come from and discover ways to unleash your writing talents at LIAWS special event at Barnes & Noble in Bay Shore on April 17. Bayshore, NY - March 26, 2013 - Long Island Authors and Writers Society presents How to Overcome the Fear of Writing and Writer's Block with Jean Summit-Riker. The event takes place at 7 PM on Wednesday, April 17 at Barnes & Noble, 842 Sunrise Highway, Bayshore, NY 11706. Author and hypno-therapist Jean Summit-Riker will give a lively talk about the fears associated with writing and how to overcome those and other fears and writer's block. Jean is the author of Forever Is Still a Long, Long Time. She is a Life Coach, Motivational Speaker and Consulting Hypnotist with a private practice in Patchogue, NY. The evening's program includes select readings by LIAWS author members Jill Sooley, Dr. Benedict Baglio and Dr. Harris Cohen. The event is free, membership is not necessary to attend and guests are welcome. For further details visit www.LIAWS.org. A chance to meet and network with other members will take place after the presentation. Jill Sooley grew up in Mt. Pearl, Newfoundland, Canada and attended Memorial University of Newfoundland. Jill writes contemporary women's fiction that blends humor and heartache. Her books, The Widows of Paradise Bay, and, Baggage, have been published in English, German and Italian. A former public relations executive, she is now devoted full time to writing, and is currently at work on a third novel. She is a member of the LIAWS Board of Directors. Dr. Benedict Baglio has published several novels to complete a four-book saga of World War II, a period of time which remains his passion and fascination. He has also authored a book on educational reform. Ben is a retired school administrator and educational consultant, holding a doctorate in educational leadership and policy studies and teaches as an adjunct faculty member at Hofstra University. Dr. Harris R. Cohen, author of Lessons Learned, How to Negotiate the Life You Want to Live, treated patients in his private chiropractic office for more than 25 years. In addition to his thriving practice, his professional career included: Assistant Professor of Clinical Sciences-University of Bridgeport, Assistant Professor of Clinical Sciences-New York Chiropractic College, and lecturer for the Suffolk County Police Department. He is the recipient of numerous honors and awards. 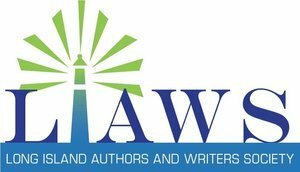 The Long Island Authors and Writers Society is a not-for-profit organization dedicated to support and promote the craft of writing through supporting one another, mentoring its members, educational programs, in-school programs, book events and events related to writing, and community outreach to residents of Long Island interested in writing. LIAWS nurtures writers and authors at all levels of development in a mutually beneficial environment. LIAWS: provides a trusting atmosphere where authors and writers can come together to meet their individual needs and share information for the good of the whole, supplies strong motivational programs of interest to all writers, offers the opportunity for members to network on different levels according to their needs, provides an environment that promotes authors, and encourages writers to strive to publish their work. All members pledge to support one another and to be involved in supporting the activities of the organization. For more information please visit www.LIAWS.org. Subject: LongIsland.com - Your Name sent you Article details of "Long Island Authors and Writers Society Presents Exciting Solutions to Writers Block"